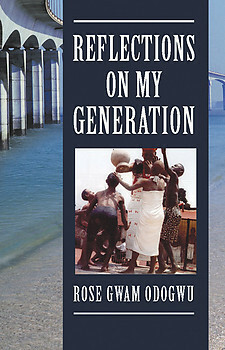 Reflections on My Generation was an autobiographical project (book and cover design as well as print production) commissioned to AMV in 2007 on behalf of the author by her son, Benjamin Olubusola Jonah, Esq. The memoirs which was launched in Nigeria and England in same year was produced for private circulation to the author's family and friends as well as her professional colleagues during a tenure of over two decades of employment in the Mid Western State Civil Service of Nigeria. For information on how to obtain copies please contact Mr. Jonah at b_jonah@hotmail.com. 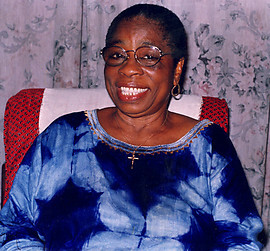 Rose Gwam-Odogwu is the second child and daughter of a colonial civil servant, Lawrence Abanokwu Gwam and his wife, Cecilia Nkeonyasua Gwam. She had an upbringing that was influenced in many ways by the colonial times. She had good elementary education at All Saints School and Convent School, both in Asaba, between 1942 and 1949 and under matriarchal headship of Ma Eunice Nwalia Kwentuah, whose remains lie in the lonely grounds of All Saints Cathedral, Asaba. She later attended Saint Agnes Training College Maryland, Ikeja, Lagos and then North-West Polytechnic, London (now known as the University of North London), University of Ife (now also known as Obafemi Awolowo University) and University of Benin. The author also attended an Advanced Training Programme for Senior Tax Officials at the Royal Institute for Public Administration (RIPA) in London. She is a recipient of an Associate Chartered Institute of Secretaries (ACIS) certificate, a Diploma in Tax Administration and a Masters in Business Administration (MBA). She also won the Company Law and Economic Theory prize during her ACIS course. Her working career began as a Private Secretary, from 1964 to 1966, to the then Premier of Mid-Western Region, Rt Hon D.C.Osadebay. She then continued in the Internal Revenue Boards of Bendel and Delta States and rose to the position of Chairman/Administrator of the Revenue Boards of both States at various times. In that capacity, she was, for nearly 10 years, the representative of Bendel and Delta States to the Joint Tax Board, which is the co-ordinating Tax Board for the country. She voluntarily retired from public service in 1995. She is a Fellow of the Chartered Institute of Taxation (CITN) and a one time Council member of the Institute. In December 2002, she received an Award for Excellence from the Ministry of Women Affairs, Community and Social Development of Delta State. She is the mother of three boys: Uchenna, a career diplomat, Busola, a lawyer and Ogo who is a computer engineer. She hails from Asaba, in Oshimili South Local Government Area of Delta State of Nigeria. 5 ½ X 8 ½ 190pp.